Happy Saturday Junkies, Pam here today! First of all I want to thank everyone for joining us for the 30 days of Christmas!! Such wonderful projects and great inspiration from the talented design team. 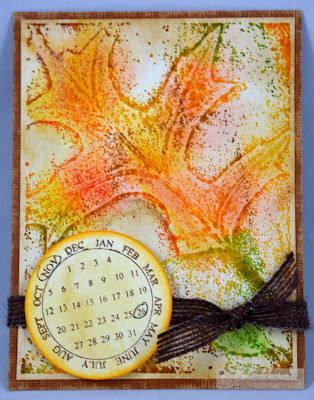 To change it up a bit today I am featuring a fall/Thanksgiving card. 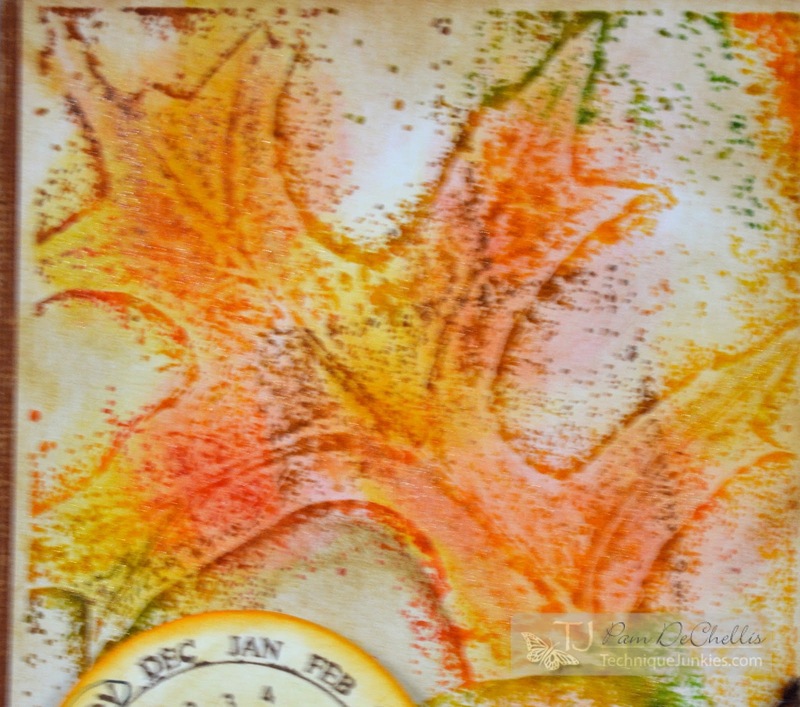 This is an absolutely gorgeous background stamp Oak Relief and just perfect for fall in New England!! 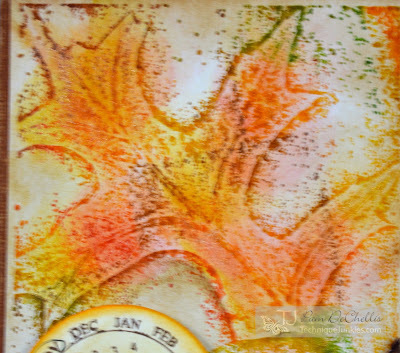 I used Distress Ink to ink up the stamp and then spritzed it with a bit of water and stamped onto water color paper. 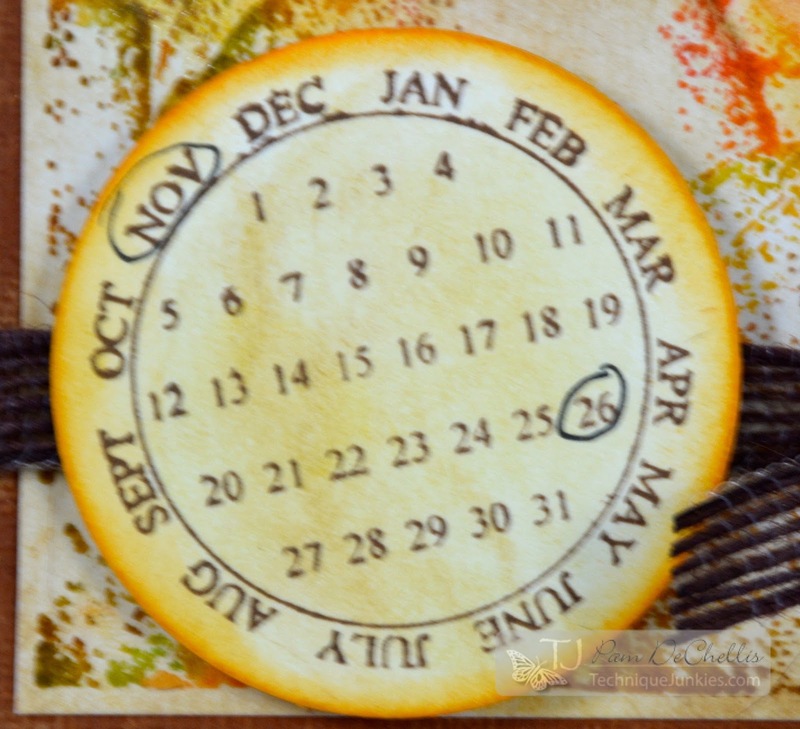 The Date-O-Matic stamp was added and voila- a Thanksgiving card. This is a super versatile add on stamp for any holiday or birthday! Just stamp a thankful sentiment inside and it's on it's way.